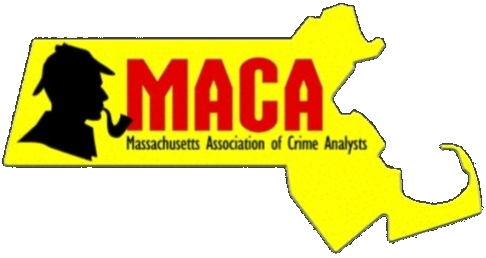 The Massachusetts Association of Crime Analysts is a member driven organization with over 150 members serving the the greater northeast region. We are analysts, educators, police officers and criminal justice faculty and students located in Massachusetts, New Hampshire, Vermont, Connecticut, Rhode Island, New York, Pennsylvania, New Jersey and Canada. Our members strive to promote and enhance the needs and goals of its members through support, networking and education. Membership to the Massachusetts Association of Crime Analysts offers an exciting way to interact with like-minded professionals interested in enhancing their careers and furthering the goals of crime analysis. MACA members also receive free access to membership with the International Association of Crime Analysts.